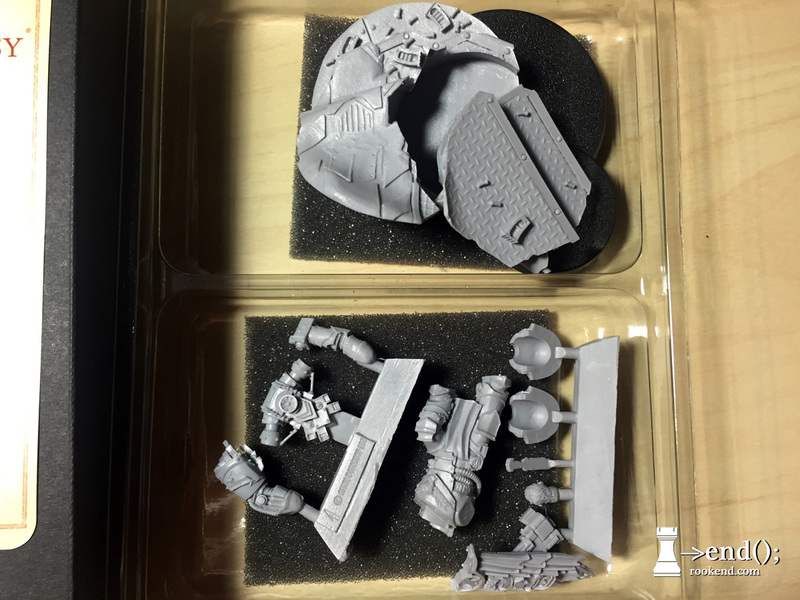 Alexis Polux is one of the models that arrived in my Forge World order. This is perhaps the cleanest model I've ever seen out of Forge World; there's almost no mold line to speak of and everything is sharp and clean. Just like the rest of the Character Series, Polux comes nicely packaged in a blister and black box. Woo hoo! 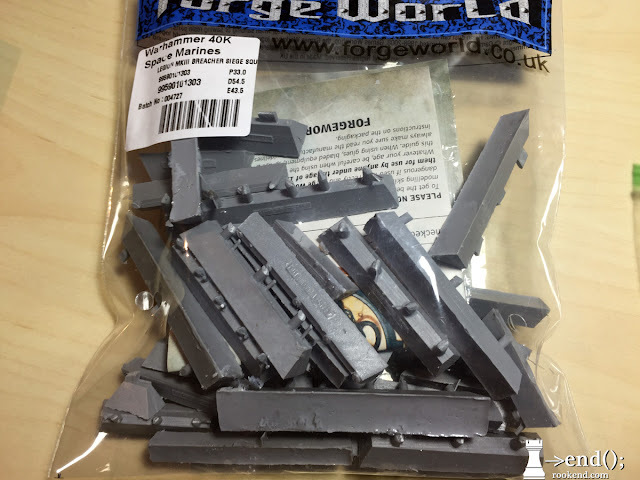 My Forge World order arrived and I dug right in: breaking down my 10 Breachers. I always break down models that will be easy to assemble. 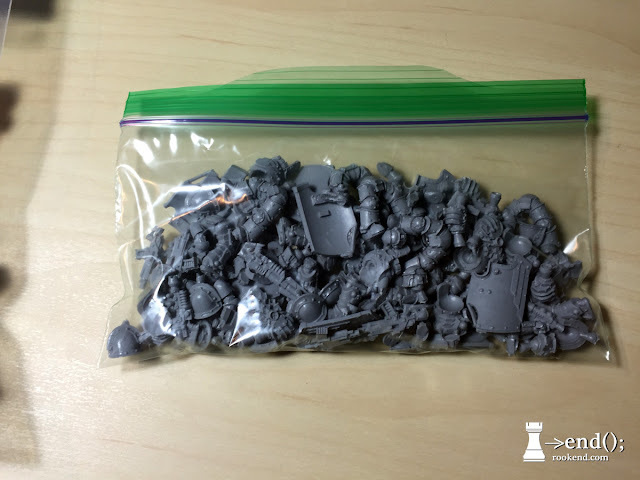 It gives me a first chance to look over everything and think about any potential problems or changes I want to make and it also takes up quite a bit less space than the two baggies originally containing the 10 Breachers. Of course, then you end up with this: bag-o-resin. Here's the work in progress. The Breachers look just like Iron Armor set (Mk 3), there's a little bit of a lost opportunity here, since these guys are supposed to have "hardened" armor by default. 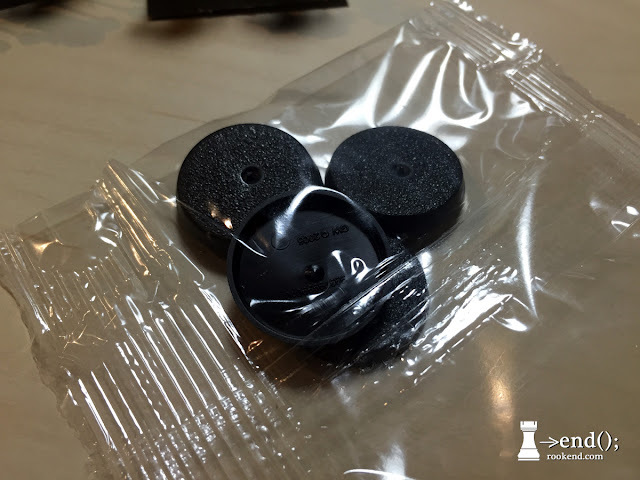 Shields are sweet, though. 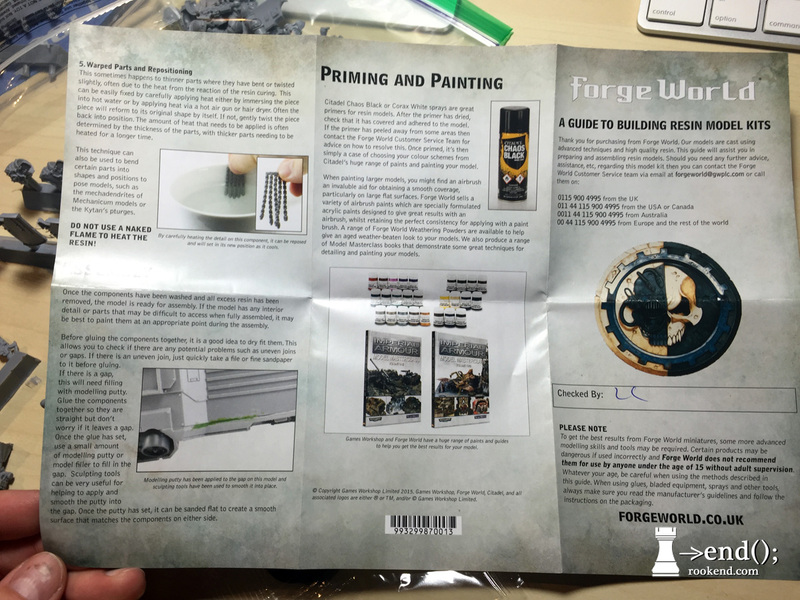 Look at this; fancy instructions from Forge World! Quite a nice addition; first time I've seen this. Other side of the sheet, including initials of who checked this bag. Nice that they're attempting a more user friendly approach and trying to increase quality control. 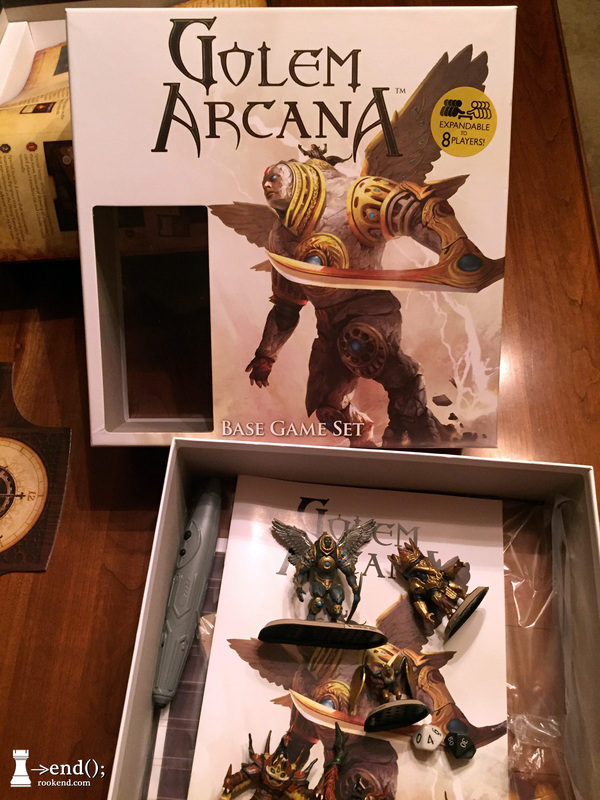 I love Harebrained Schemes' work on the Shadowrun games and I was excited to see what they were going to do with a miniatures game, so I was interested in checking out Golem Arcana. Sadly, I forgot all about it until I saw the discontinuation article on BoLS. So I ordered from the close-out sale and am looking forward to checking it out. As far as pre-painted minis go, they quality is pretty high. 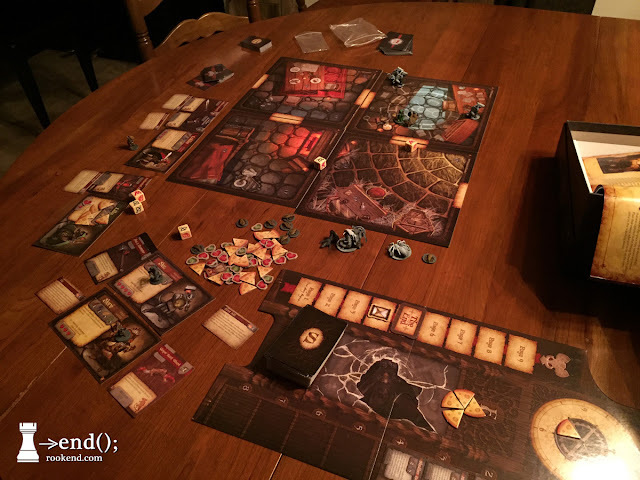 And yes, that is Mice & Mystics in the background there. See more M&M here. This post retro-posted as I catch up with my pic a day (yes, the BoLS article came out on the 31st). 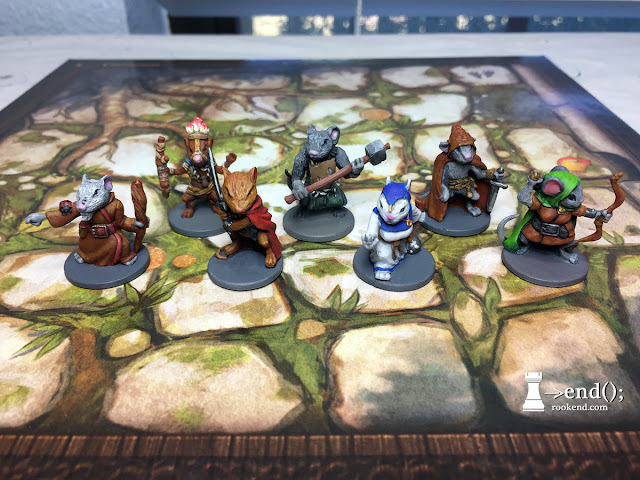 I don't think I've ever posted these before, but since I had it out I decided to snap a few pics of my Mice & Mystics heroes. Mice & Mystics is a fantastic board game, good for kids 8+-- my daughter and I love playing it, so I wanted to dress up the pieces a bit. My daughter and I are still working on the bad guys, so I'll probably post those eventually. I feel dirty doing this. 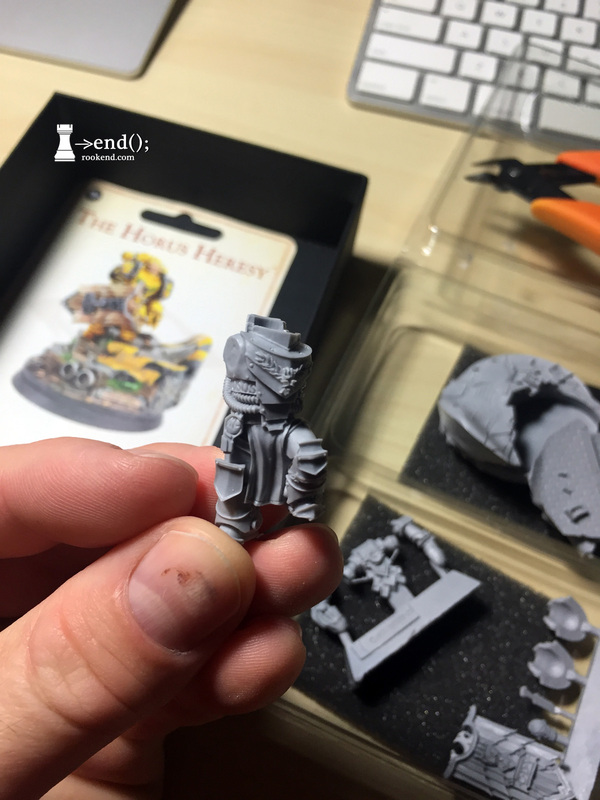 I normally carefully clip, trim, clean and assemble each model before I prime it. Usually I will leave parts separated for easier painting, but every piece is free of flash, mold lines and sprue nubbins. 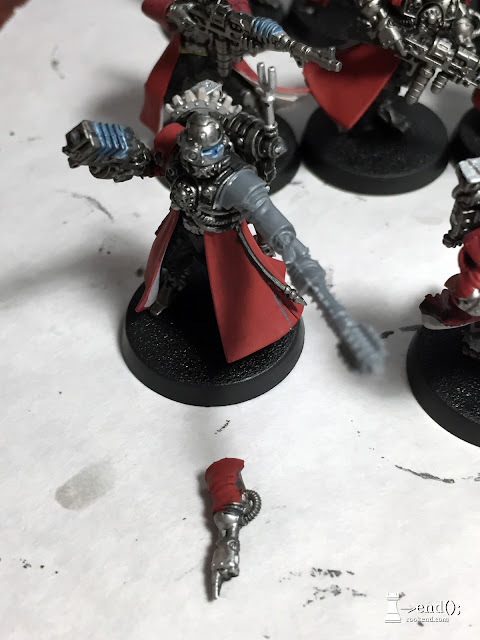 However, I wanted to play my new Skitarii in a tournament that requires three colors. 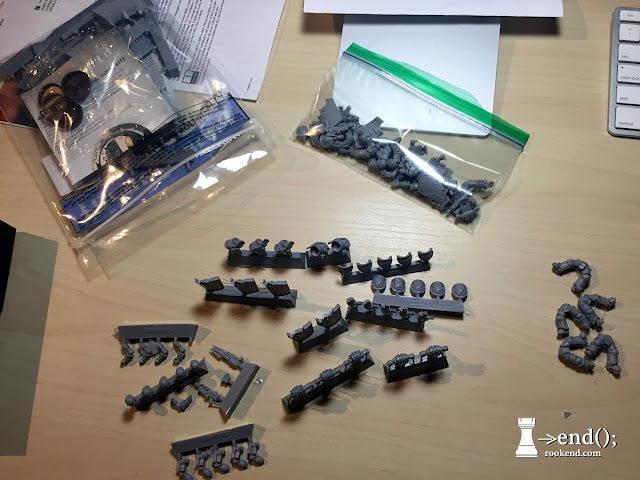 So how do you get three color models as fast as possible? 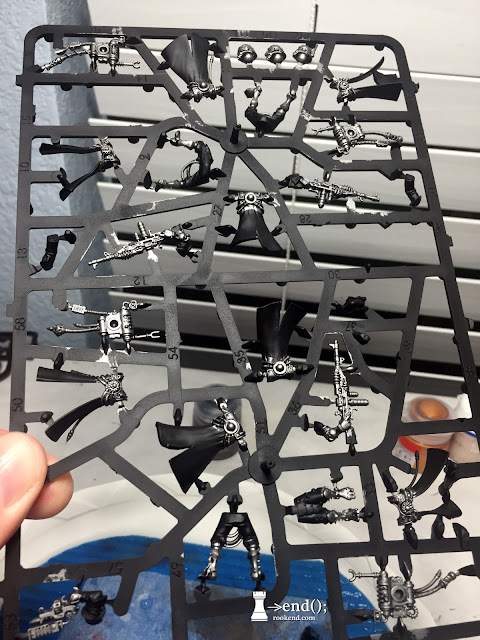 You paint it on the sprues. 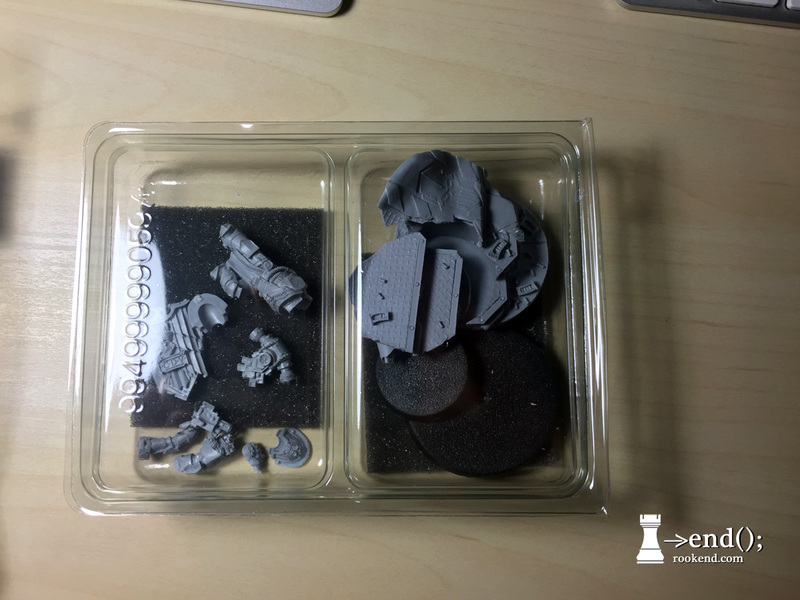 Here's how I put together my three color Skitarii Vanguard. First, trim out everything you don't need. 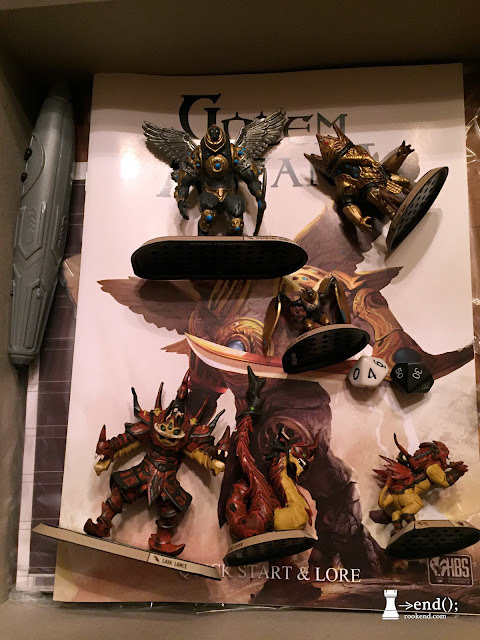 No use painting something you aren't going to use. This is a little trickier than it sounds because Vanguard have many unique pieces that only work with their specific pair. 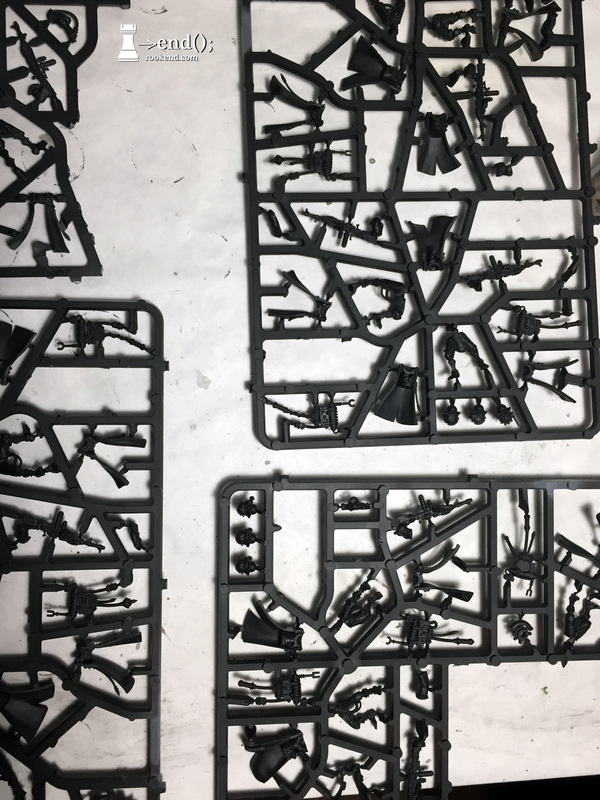 Consult the assembly instructions, and eventually you'll notice GW has grouped all the pieces somewhat close together on the sprue. 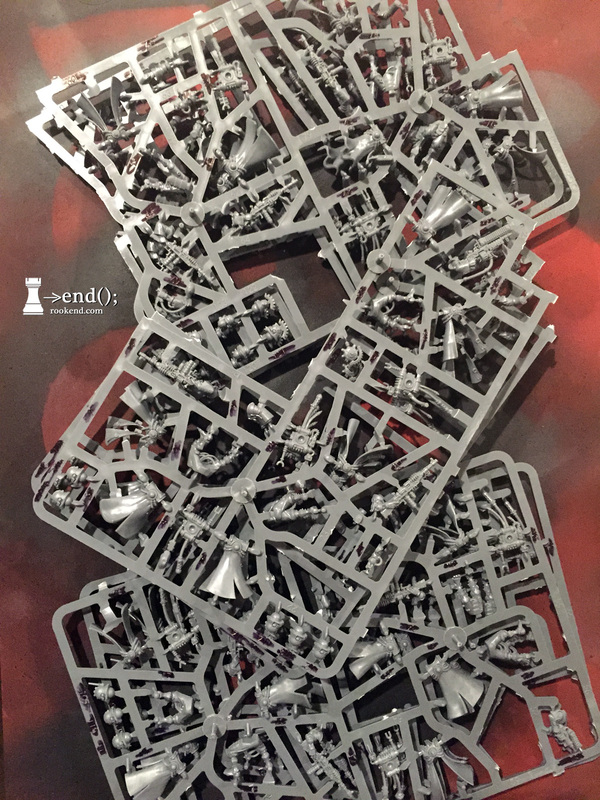 Heads are off to the side, but they're interchangeable. Then primer everything. 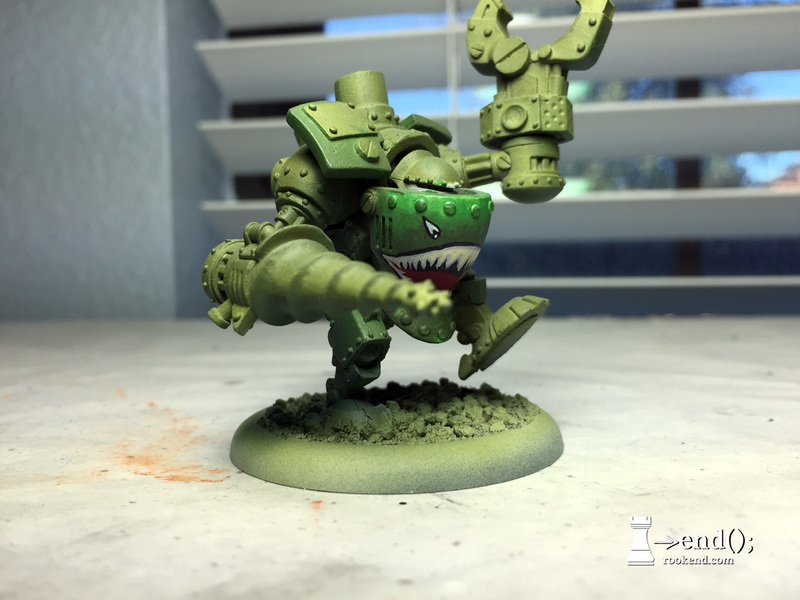 The nice part about this technique is that you use a lot less primer. I was able to get very good coverage, and since I'm spraying a bunch of pieces close together, there's not much overspray that went to waste. Now just go to town: starting with the metallics. You can just slop it on and spread it around. I'll be using the old GW Foundation colors later that will easily cover metallics. 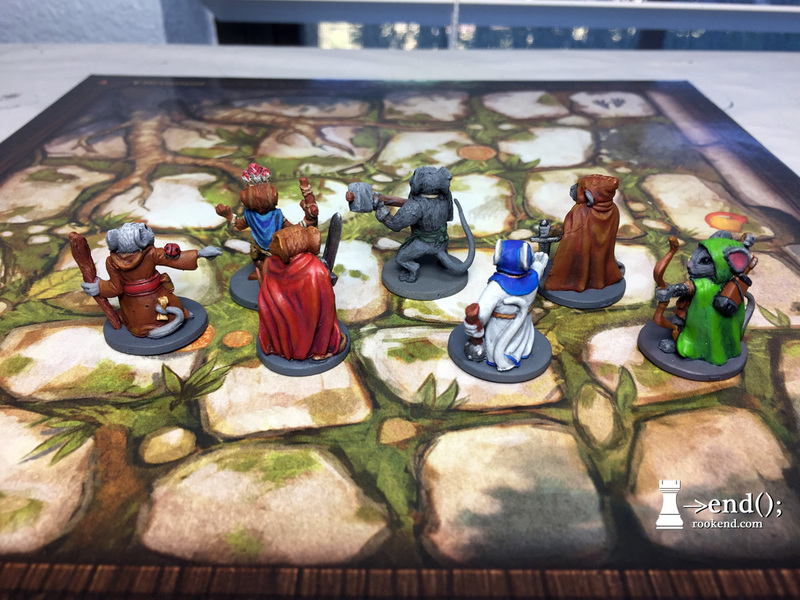 It was quite a bit easier to paint the inside of the robes with them not yet assembled. Although, in retrospect, you can never really see the inside of the back part of the robe, so you could skip those to save even more time. Then just throw down some red on the outside of the robes and on the arms. Once you're done, here's what you get. 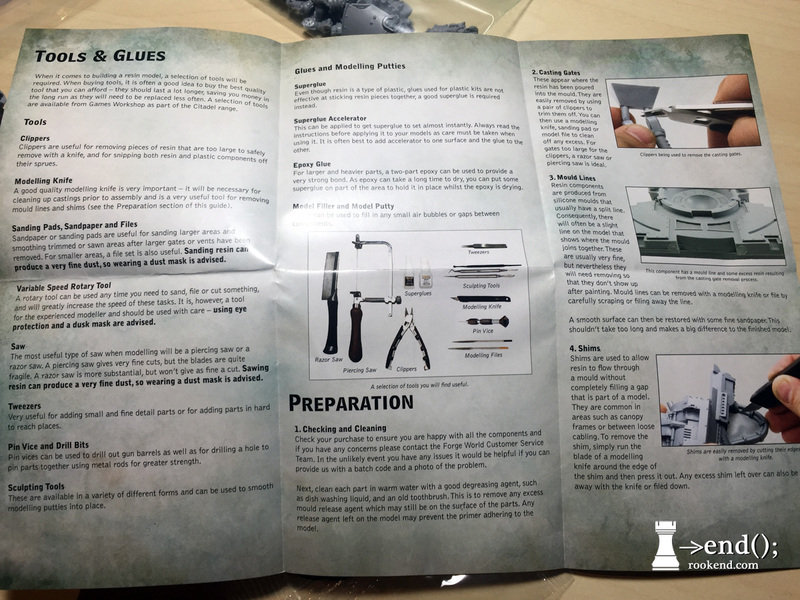 Start trimming things out and gluing them together. 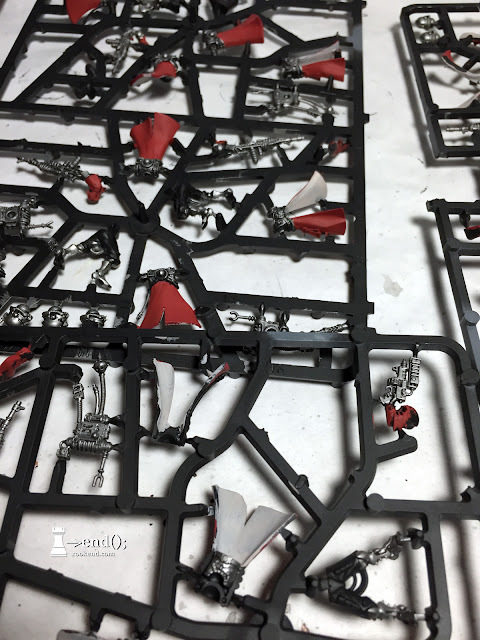 I did a bit of touch up on the red once I cut them out of the sprues, just to avoid any grey areas on the outer coats. Here's what they look like completed. This guy is getting an arm swap. 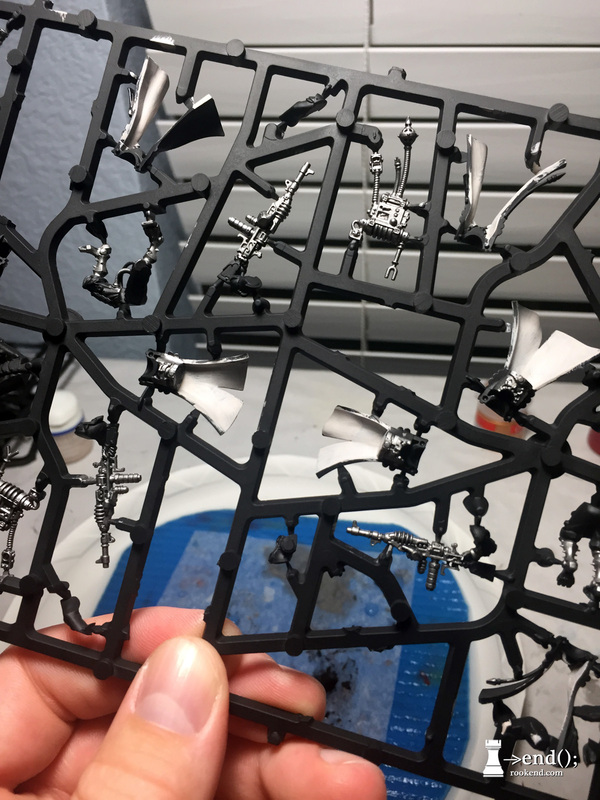 I added a bit of blue on the visors and weapons once assembled and a different highlight color on the helps to identify the two squads I made. They're ugly, but they're three color and the whole process was very fast. 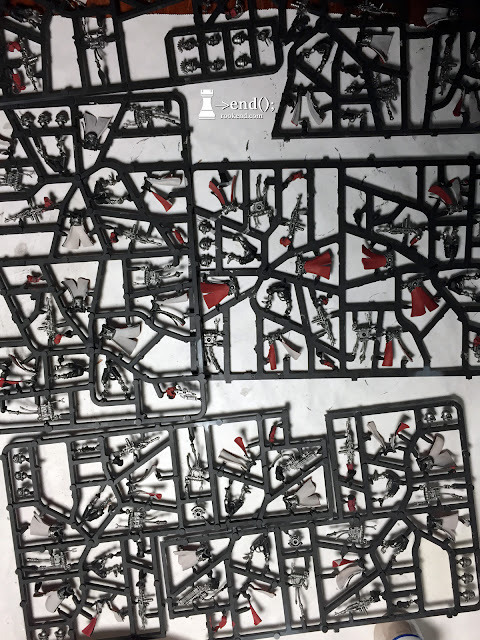 I've never put twenty infantry together so fast, but it just didn't feel right.